In the previous post I gave a very quick introduction to the smfsb R package. As mentioned in that post, although good for teaching and learning, R isn’t a great language for serious scientific computing or computational statistics. 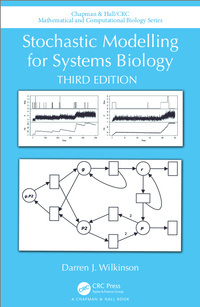 So for the publication of the third edition of my textbook, Stochastic modelling for systems biology, I have created a library in the Scala programming language replicating the functionality provided by the R package. Here I will give a very quick introduction to the scala-smfsb library. Some familiarity with both Scala and the smfsb R package will be helpful, but is not strictly necessary. Note that the library relies on the Scala Breeze library for linear algebra and probability distributions, so some familiarity with that library can also be helpful. To follow the along you need to have Sbt installed, and this in turn requires a recent JDK. If you are new to Scala, you may find the setup page for my Scala course to be useful, but note that on many Linux systems it can be as simple as installing the packages openjdk-8-jdk and sbt. set libraryDependencies += "com.github.darrenjw" %% "scala-smfsb" % "0.6"
set libraryDependencies += "org.scalanlp" %% "breeze-viz" % "0.13.2"
The first time you run this it will take a little while to download and cache various library dependencies. But everything is cached, so it should be much quicker in future. When it is finished, you should have a Scala REPL ready to enter Scala code. It should be possible to type or copy-and-paste the commands below one-at-a-time into the Scala REPL. We need to start with a few imports. Note that I’ve renamed Breeze’s Vector type to BVec to avoid clashing with that in the Scala standard library. We are now ready to go. Let’s begin by instantiating a Lotka-Volterra model, simulating a single realisation of the process, and then plotting it. and an auto-regulatory genetic network model, for example. If you know the book and/or the R package, these models should all be familiar. We are not restricted to exact stochastic simulation using the Gillespie algorithm. We can use an approximate Poisson time-stepping algorithm. Alternatively, we can instantiate the example models using a continuous state rather than a discrete state, and then simulate using algorithms based on continous approximations, such as Euler-Maruyama simulation of a chemical Langevin equation (CLE) approximation. If we want to ignore noise temporarily, there’s also a simple continuous deterministic Euler integrator built-in. For 2d simulation, we use PMatrix, a comonadic matrix/image type defined within the library, with parallelised map and coflatMap (cobind) operations. See my post on comonads for scientific computing for further details on the concepts underpinning this, though note that it isn’t necessary to understand comonads to use the library. 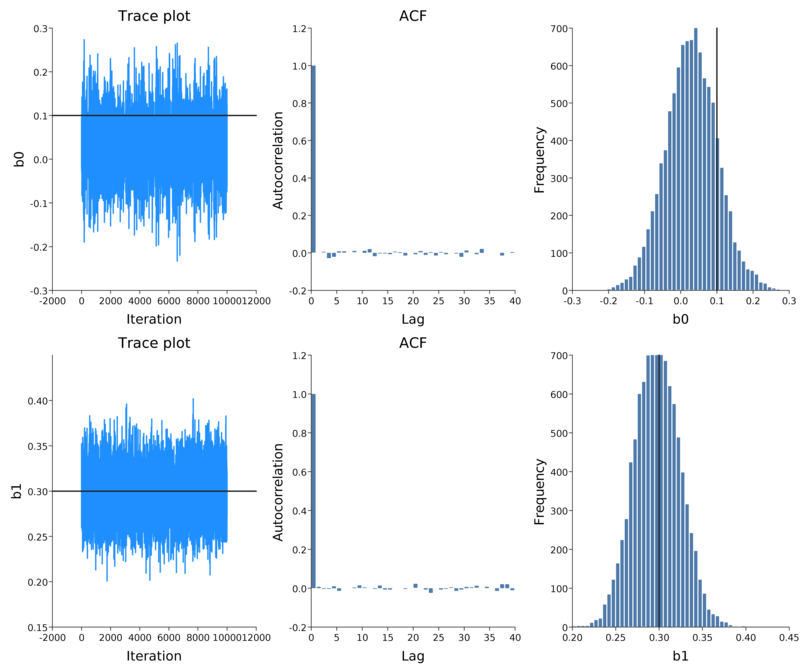 The library also includes functions for carrying out parameter inference for stochastic dynamical systems models, using particle MCMC, ABC and ABC-SMC. See the examples directory for further details. Having worked through this post, the next step is to work through the tutorial. There is some overlap of content with this blog post, but the tutorial goes into more detail regarding the basics. It also finishes with suggestions for how to proceed further. This post started out as a tut document (the Scala equivalent of an RMarkdown document). The source can be found here. EvilPlot is a new functional data visualisation library for Scala. Although there are several data viz libraries for Scala, this new library has a nice functional API for producing attractive, flexible, compositional plots which can be rendered in JVM applications and in web applications (via Scala.js). For a quick introduction, see this blog post from one of the library’s creators. For further information, see the official documentation and the github repo. 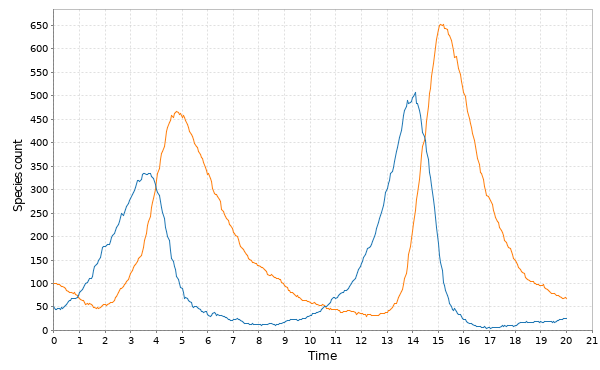 For a quick overview of the kinds of plots that the library is capable of generating, see the plot catalog. The library is designed to produce plots which can be rendered into applications. However, when doing data analysis in the REPL on the JVM, it is often convenient to be able to just pop up a plot in a window on the desktop. EvilPlot doesn’t seem to contain code for on-screen rendering, but the plots can be rendered to a bitmap image. In the previous post I described a small library, scala-view, which renders such images, and image sequences on the desktop. In this post I’ll walk through using scala-view to render EvilPlot plots on-screen. set libraryDependencies += "com.cibo" %% "evilplot" % "0.2.0"
set libraryDependencies += "com.github.darrenjw" %% "scala-view" % "0.6-SNAPSHOT"
set resolvers += "Sonatype Snapshots" at "https://oss.sonatype.org/content/repositories/snapshots/"
val plot = LinePlot.series(data, "Line graph", HSL(210, 100, 56)). Don’t close this plot yet, as this will confuse the REPL. Just switch back to the REPL and continue. 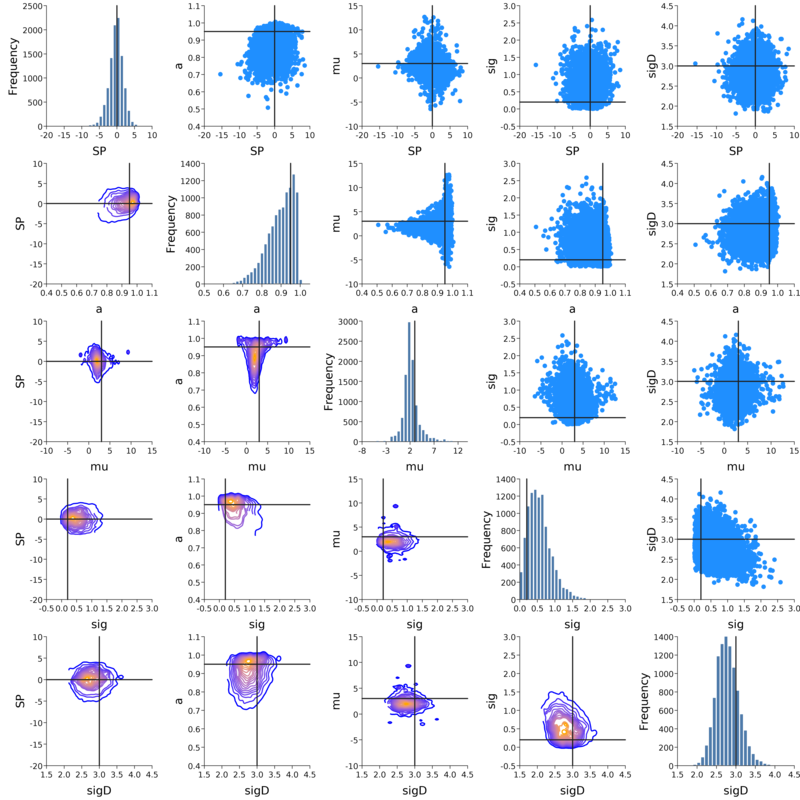 def dataToImage(data: List[Point]) = LinePlot. series(data, "Line graph", HSL(210, 100, 56)). In the previous post I discussed how comonads can be useful for structuring certain kinds of scientific and statistical computations. 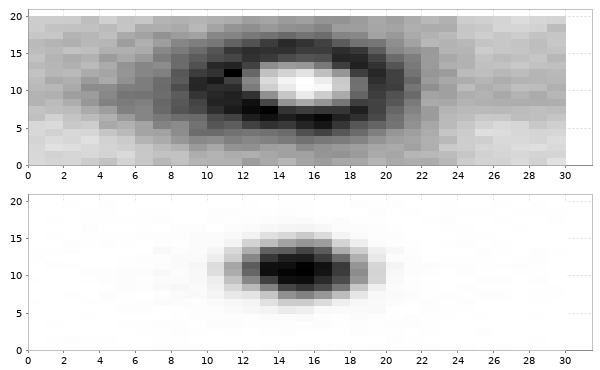 Two of the examples I gave were concerned with the time-evolution of 2-d images. In that post I used Breeze to animate the sequence of computed images. In this post I want to describe an alternative that is better suited to animating an image sequence. Scala-view is a small Scala library for animating a Stream of Images on-screen in a separate window managed by your window manager. It works with both ScalaFX Images (recommended) and Scala Swing/AWT BufferedImages (legacy). The stream of images is animated in a window with some simple controls to start and stop the animation, and to turn on and off the saving of image frames to disk (typically for the purpose of turning the image sequence into a movie). An example of what a window might look like is given below. More comprehensive documentation is available from the scala-view github repo, but here I give a quick introduction to the library to outline its capabilities. 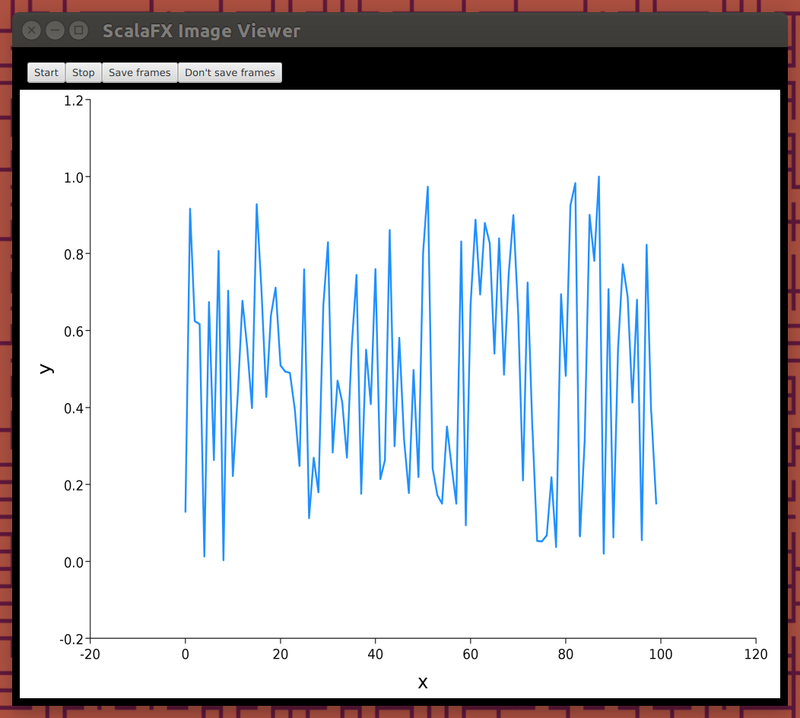 This brief tutorial gives a quick introduction to using the Scala-view library for viewing a ScalaFX Image Stream. It assumes only that you have SBT installed, and that you run SBT from an empty directory. set libraryDependencies += "com.github.darrenjw" %% "scala-view" % "0.5"
The should result in a scala> REPL prompt. We can now use Scala and the Scala-view library interactively. You should be able to paste the code snippets below directly into the REPL. You may find :paste mode helpful. 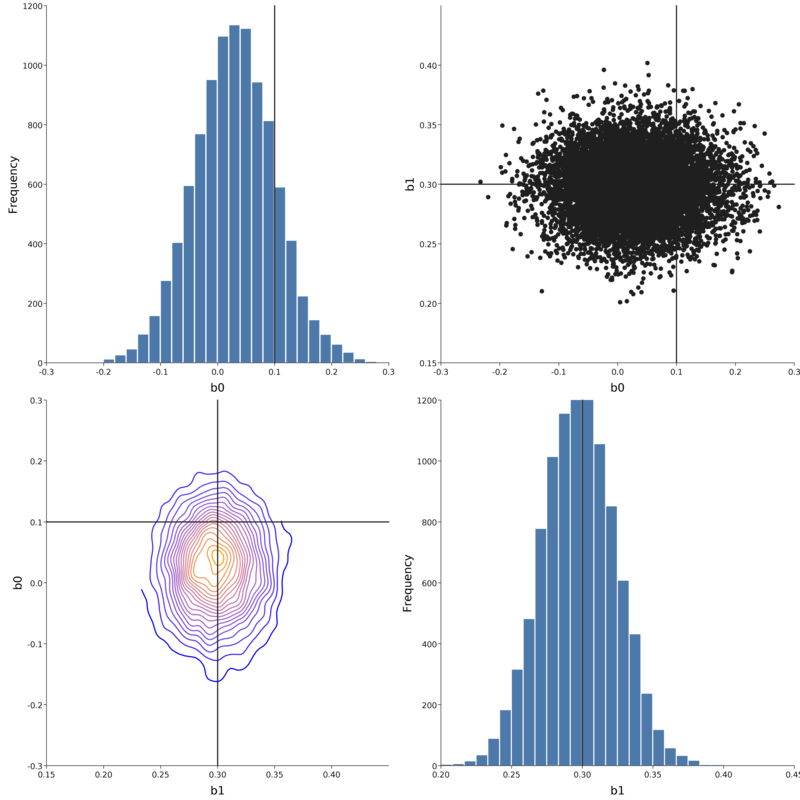 We will replicate the heat equation example from the examples-sfx directory, which is loosely based on the example from my blog post on comonads. We will start by defining a simple parallel Image and corresponding comonadic pointed image PImage type. If you aren’t familiar with comonads, you may find it helpful to read through that post. 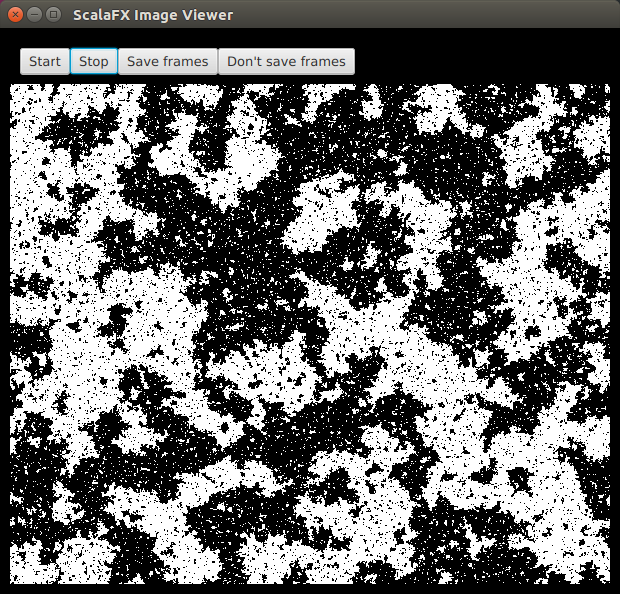 We will need a function to convert this image into a ScalaFX WritableImage. We will need a starting image representing the initial condition for the heat equation. We can define a kernel associated with the update of a single image pixel based on a single time step of a finite difference solution of the heat equation. Note that we are essentially finished at this point, but so far everything we have done has been purely functional with no side effects. We haven’t even computed our solution to the heat equation. All we have constructed are lazy infinite streams representing the solution of the heat equation. 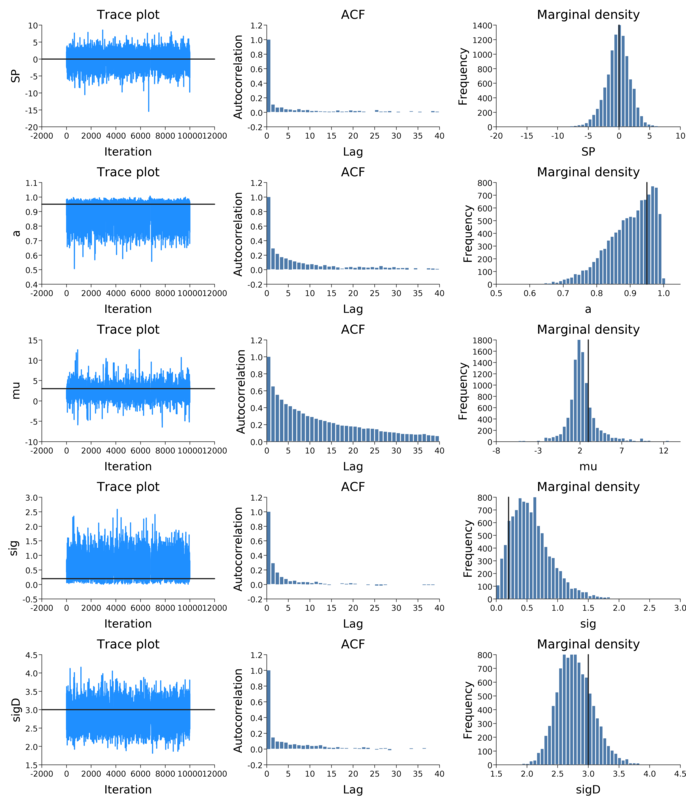 which has a delay of 1e7 nanoseconds (10 milliseconds) between frames. This should pop up a window on your display containing the initial image. Click on the Start button to animate the solution of the heat equation. See the API docs for SfxImageViewer for additional options. The ScalaFX API docs may also be useful, especially the docs for Image and WritableImage.